Faria Shahrin is a Bangladeshi actress and model. Shahrin became the first runner-up in Lux Channel I Superstar beauty pageant in 2007. 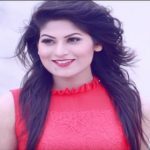 She is widely notable for appearing in the television commercial ‘Kotha dilam’ for Banglalink. Again the model comes to the discussion around the showbiz arena when she raised a number of allegations of sexual harassment against some directors, producer, businessmen and Newspaper’s editor. Faria Shahrin was born in Noakhali, Bangladesh. Shahrin was so much passionate about media arena from early childhood eventually turned her career into the showbiz arena. Actually, the actress entered into the showbiz when she became runner-up in Lux Chanel-i superstar beauty contest in 2007. Following the winning of the Lux Chanel-i superstar beauty pageant in 2007, she began a career as a model. Faria landed her career breakout modeling role in Banglalink TVC ‘Kotha dilam’. Then she appeared in the TVC for Sandalina Sandel Soap. She also acted in several dramas. The nice looking actress made her acting debut in the film industry with the movie ‘Cheleti’. 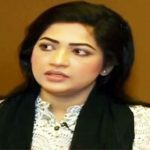 Faria Shahrin reveals facing casting couch in the Dhallywood showbiz industry by several producers, director, and businessman and draws the huge media attention after revealing the fact. Most of the senior artists of the country denied her allegation they told ‘she has no working offer in the industry that’s why she told such a talk’.